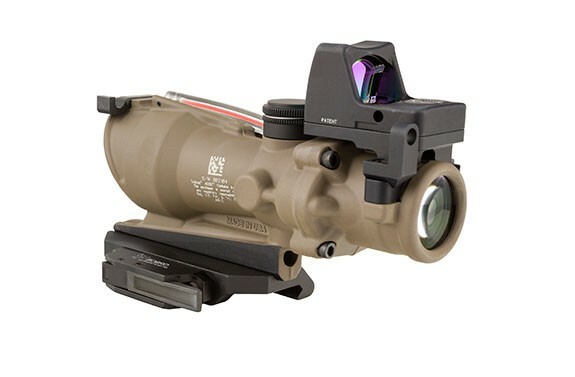 The Trijicon ACOG ECOS is the ultimate sight for both Close Quarter Battle (CQB) situations and longer distance shooting where accuracy and pinpoint bullet placement are required. 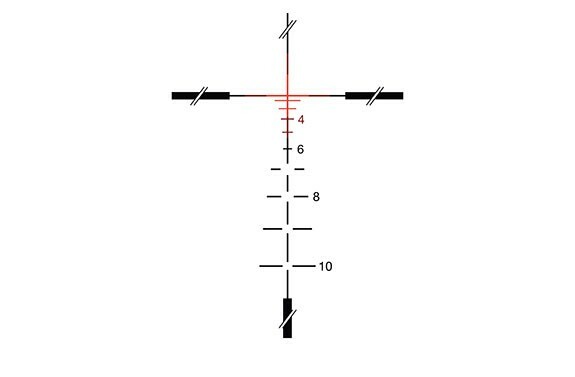 This dual-sighting system gives the shooter a distinct tactical advantage with the option of either the Trijicon ACOG or the RMR Sight. 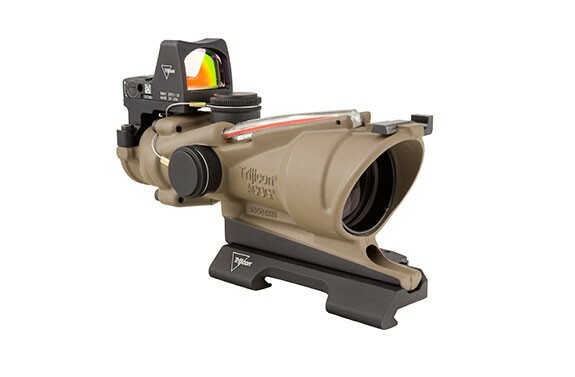 With the quick target acquisition of the RMR Sight or the precise aiming capabilities provided by the magnified 4x Trijicon ACOG—the shooter has the ability to select the proper aiming solution for the situation at hand—truly the best of both worlds. No tools are needed for windage and elevation adjustments because the ECOS also features external windage and elevation adjusters, making it waterproof up to 11m without caps.